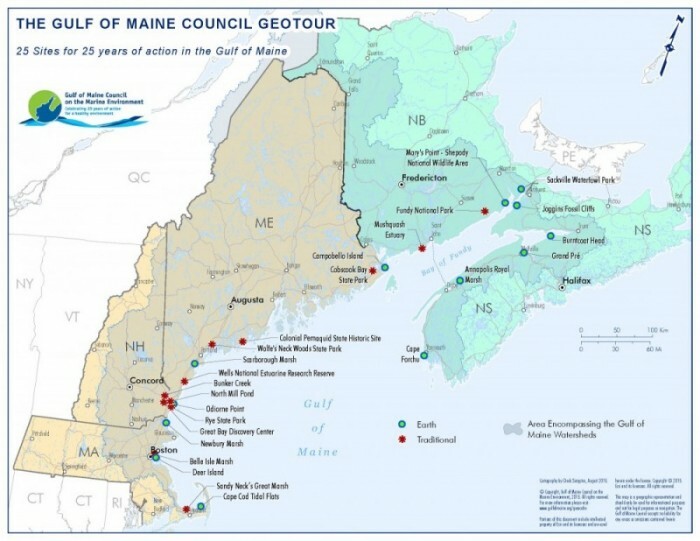 The Gulf of Maine Council on the Marine Environment is celebrating its 25thAnniversary with a geocache tour of the Gulf of Maine Watershed. The GeoTour is like a scavenger hunt, but instead of visiting locations to collect objects, participants will be finding answers to site specific questions and collecting points. The treasure, a limited edition Gulf of Maine Council 25thAnniversary Geocoin, is available to participants who collect enough points and send in their GeoTour Passport.